After completing the online theory, one of our knowledgeable Instructors will create informative workshops covering the subjects in which you need help. This Academic program improves your knowledge of diving physics and physiology, decompression theory, the aquatic environment and scuba equipment. 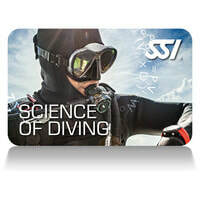 It is also a prerequisite for most SSI Dive Professional programs, as well as some Extended Range courses.